Real Estate Photography Specials for February and March, 2014. Realtors using PanaViz photography for the first time will receive and additional 10% discount on the packages below. Day shoot, staging provided by realtors. * Additional virtual tours are $125 each. **Additional photos are $100 each. ***All tours are hosted free for the first year and $50 per property/tour per annum henceforth. ****Travel costs are additional for Outer Island shoots and include airfare and car rental and is usually allocated over several clients. A photography package for a larger luxury home. Day, evening and night shoot. PanaViz to assist with staging. Our comprehensive, all in one media package for Realtors and Sellers. A 2 minute professionally photographed, edited and narrated HD property video. Digital Brochure with all media incorporated. $750 for up to 3 minutes of HD Video, professionally photographed, edited and narrated. $650 for up to 3 minutes of HD Video, professionally photographed and edited, without narration. All tours are hosted free for the first year and $50 per annum per property/tour henceforth. **Travel costs are additional for Outer Island shoots and include airfare and car rental and is usually allocated over several clients. 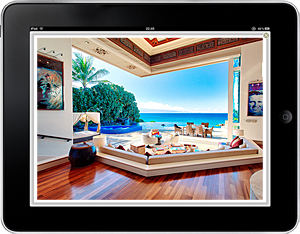 Full Screen Display of Photos, Virtual Tours & Videos in HD. 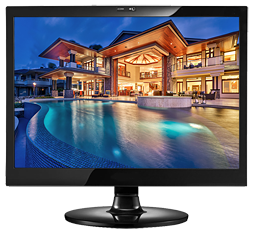 HD Media Displays on Desktops, TV’s, Tablets & Mobile Devices. Branding Ready. Logos, Maps, Plans. Full Screen HD Property Videos. Works on Desktops, Tablets, Mobile Devices including Apple Devices. Content Ready for Distribution and Social Media. Showcase your listing the way it deserves to be seen! We display your property the way it deserves to be seen. Our photography ensures that interiors are well lit and properly exposed. Views out the windows are kept intact. Superior post production methods to bring you photos, virtual tours and videos that are that are unrivaled in their visual quality. Our website design service makes sure that your written content and visual imagery are implemented property to best promote your vacation home. PanaViz provides real estate photography services on Oahu, Kauai, Maui, Big Island, Lanai and Molokai. Where possible, we consolidate outer island photo shoots to keep travel costs affordable. Please scroll up to see all our package options. Check here often for our latest pricing and promotions.